Continuing on in this series on the MarketMaker partners, below are 2 more agencies in the MarketMaker network. sponsor & support legislation & regulations that will benefit PA's wine industry and to oppose those which will be detrimental. 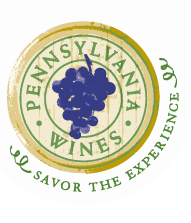 With nearly 160 wineries located in the Commonwealth, the Pennsylvania wine industry has experienced vibrant growth for more than a decade. The opportunities for commerce have also expanded; allowing wine sales by the glass, 100 off-site special permits for sales, and recently, legislation was passed to allow wineries to apply for an annual farm market permit. With the growing popularity of local foods, the amount of markets has expanded across Pennsylvania. Today, wineries are able to register to provide samples and sell wine by the bottle at farm markets. Pennsylvania wineries are excited about their opportunities to participate in farm markets and to be featured alongside other local foods. Farm to City is a Philadelphia- based program whose goal is to unite communities, families, and farmers year-round through locally grown food. In 2012, Farm to City will operate 16 farmers' markets including 12 established markets, 2 existing markets in new locations, and two new markets. In addition to a wide variety of fruits and vegetables, many of the markets feature meat, poultry, eggs, and dairy products from pastured animals. Farm to City also offers use of its website and administrative web tools to any organization that would like to run a local food buying club or CSA in its own community. Farm to City is committed to the promotion and proliferation of viable, self-sustaining local food networks across the country. The affiliate program is designed to help organizations start and manage a local buying club or CSA. Are you a member of either one of these organizations? How have they helped you market your products or learn about your industry?